– Using the hashtag #BlackLivesMatter triggers a law enforcement profile in Oregon DoJ’s ‘threat assessment’ database. We make a Federal case out of the illegal surveillance. 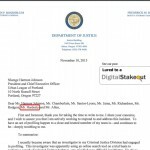 Oregon’s Attorney General has reported her Criminal Justice Division placed online activity of her own Civil Rights Division Director under surveillance. Erious Johnson, at the CRD, is one half of a power couple. Wife Nkenge Harmon Johnson is President of our long-term social justice colleagues at the Urban League of Portland, all of whom were undoubtedly also swept into an online dragnet. The warrantless search hits so close to home, it is almost assured that Consult Hardesty communications have been monitored. Someone should make a Federal case of of it. 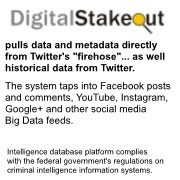 Initial reports are that the CJD employed Digital Stakeout software to conduct “threat assessments.” Law enforcement officials at the highest level admit to searching Oregonian’s Twitter feeds for hashtags “#Black Lives Matter” and “#FuckThePolice.” You can be assured the State’s online surveillance is not limited to Twitter, or this particular tool. (See bottom graphic.) It is not confined to civil rights advocates. AG Ellen Rosenblum, finding her executive team member in the dragnet, disclosed the operation to Mr. Johnson. By statute, this is illegal conduct. Many know the Department of Homeland Security has admitted to monitoring the Black Lives Matter movement since anti-police protests erupted this past August in Ferguson, Missouri. The Call for an audit. Partner Jo Ann Hardesty, as President of the Portland Branch of the NAACP, is signatory to a letter of demands made on 10 November by the Urban League of Portland, among others. As to intentions, and what was done with the information, oblique assessment of Constitutional protections would lead to our secretive Joint Terrorism Task Force. 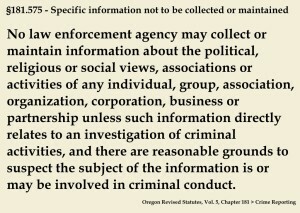 It is a clearinghouse by which the Oregon Department of Justice, the Feds, and local police share intelligence. We know very little about PPB’s Intelligence Unit, their surveillance, infiltration and disruption practices. 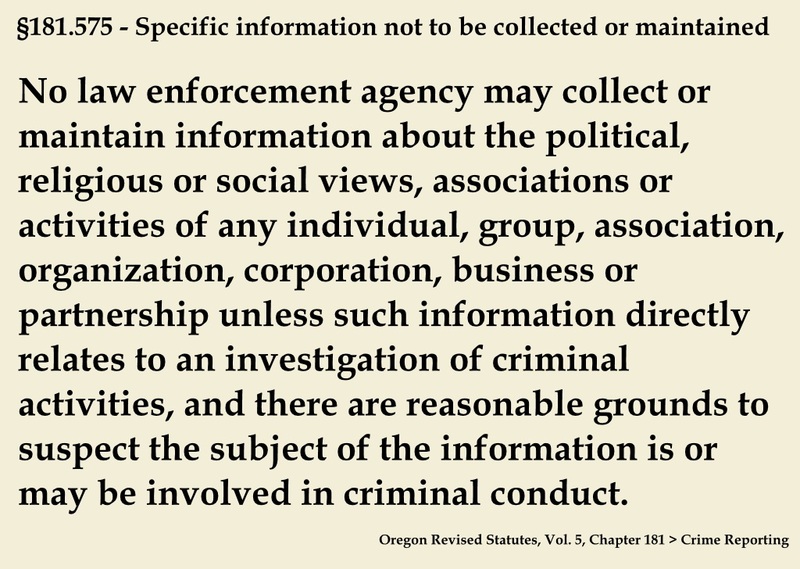 Interestingly, ORS §181.575 (above) passed as a result of Portland Police surveillance of non-profit and community-based organizations. We also note that Rosenblum did not use a singular term ‘he’ in the 11 November radio interview. UPDATE: Remedy was limited to findings that one individual needed to be assigned to a different chair in her office. More information at hyperlink in comment below. Rosemblum has side-stepped our demands for an independent audit. Human Resources will look into the matter. (Law enforcement always prefers ‘insider’ investigations, offering a veneer of checks and balances.) Within hours of receiving the Urban League’s letter, she’d unilaterally asked a crony at Stoel Rives to investigate. (Democratic Party fundraisers, and four hundred lawyers, none specialize in individuals’ assertion of Fourth Amendment protections.) Carolyn Walker litigates and counsels clients on matters including retaliation and wrongful discharge claims. She sells services to employers who’ve had governmental agency complaints filed against them. The scapegoat is in for a tough time. Stoel Rives are big-league players. Walker is a woman of color. It only becomes pertinent when you understand the tremendous campaign the Center for Intercultural Organizing has engaged in. In an extraordinary effort, CIO (whose Executive Director is also a signatory) secured passage of HB 2002, the End Profiling Act, in Oregon’s last legislative session. The bill established a Law Enforcement Profiling Work Group … which Rosenblum chairs. As the AG convened a District Attorney and representatives to the Portland Police Association and the Oregon Sheriffs’ lobby into a Work Group, her office targeted those who value black lives … as potential threats to police. It’s similar to collusion engaged in by the Portland Auditor’s Office: Mary Hull Caballero requires employees undergo a background check with Portland police. Simultaneously, cops use what they unearth to intimidate investigators in her office’s ‘Independent’ Police Review Division. Seek to engage in police accountability and law enforcement will dig deep into your life. Perversely, on 15 February and in their legislative campaign, the CIO convened A Wall Is Just A Wall – Breaking Down Barriers As A White Ally … under #BlackLivesMatter. The hashtag formed the call to action. 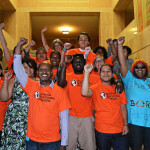 It was precursor to their 27 October convening with Rosenblum, billed as “an important opportunity for the AG and Work Group to hear about the impact of profiling in our communities, as they work to make recommendations to the legislature.” At that meeting, CIO and its community partners were already under surveillance. The dragnet is broader than most suspect. The Portland Chapter of ‘Showing Up For Racial Justice,’ backed the CIO convening under the BLM hashtag. “We are building relationships with People-of-Color-led organizations [such as] Justice for Keaton Otis (with whom we are intimately involved), Portland Parents Union, Voz Worker’s Center, Portland Central American Solidarity Committee, Black Lives Matter Portland, Don’t Shoot Portland, and many others,” claims SURJ PDX. We’ll alert those member organizations … that they’re under Department of Justice surveillance, and that the AG intends an in-house investigation. ALL of these groups were encouraged to spread the word, specifically, that #BlackLivesMatter. All of those tweets live in hyperspace: archives made this pool of racial justice advocates into dragnet targets. Some may find it ironic that her office not only engaged in those practices, but partnered in luring folks into the very character string by which they could be put under surveillance. We contend Oregon’s Department of Justice lured folks into a digital stakeout. Other Urban League signatories include NAACP Eugene/Springfield Branch, ACLU Oregon, Asian Pacific American Network of Oregon, Oregon AFL-CIO and Oregon AFSCME Council 75. ACLU of Oregon has filed records requests to the Oregon Department of Justice, Oregon’s Titan Fusion Center, and the U.S. Department of Justice, including the FBI. Jo Ann and the other signatories expect to meet with Rosenblum by the end of the month. They’ve demanded an audit – performed by investigators they perceive to be independent of the Department of Justice – conclude by the end of the year. While HB 2002 gives the AG authority to “Initiate an investigation of a complaint alleging profiling or a systematic pattern of profiling,” we’ll contend that, when the Department of Justice is itself the target of an investigation, checks and balances require a non-involved entity to oversee investigation. We make a Federal case of this. 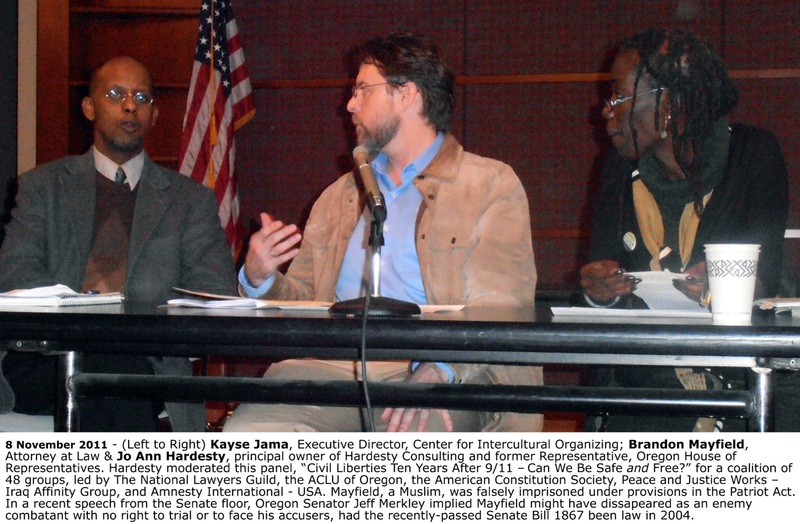 During the period of surveillance, ACLU of Oregon, the Albina Ministerial Alliance Coalition for Justice and Police Reform (on whose Executive Committee Jo Ann serves), and others were preparing for a Federal Hearing in the 9th US District Court. Judge Michael Simon has granted AMAC ‘friend of the court’ standing in the Civil Rights case, United States v. City of Portland. Given the unwarranted intrusion on the State’s Director of their Civil Rights Division, his colleagues and correspondents, investigation should be pursued at a Federal level. Ironically, on 13 October Jo Ann moderated, for the League of Women Voters of Portland, a panel convened to address, “Is Justice Blind? 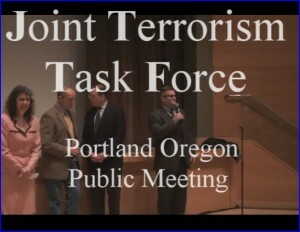 Racism in Oregon’s Criminal Justice System.” The entire clip has merit: we’ve set the entry point at Jo Ann’s comments. She’s addressing AMAC deliberations. Our legal adversaries would have appreciated advance notice of specific positions. Did the State’s spies uncover them? Justice wasn’t blind. It was riffling through our communications. *Among the signatories’ demands of the AG: “Direct contact from your office to each person who was surveilled, [and] providing those individuals with a copy of all of the information about them that was reviewed by the Department of Justice.” We suppose that would help Consult Hardesty partners discern our individual roles in the dragnet. What other software did the invisible ‘investigator’ employ? See also our post Tweet This. One correspondent (a lawyer) reported all that is required for a prosecution of the state’s Attorney General is a willing District Attorney from any county. For a racial justice analysis, one facebook comment pointed out, it’s extremely difficult to amend an improper or out of date Gang Designation Record, or to get one’s record expunged after meeting the requirements. We suspect exoneration will flow quickly in this instance. Will Democrats simply circle the wagons? We anticipate the Governor will watch, idly, as the AG exonerates herself and all who work for her. No charges will be filed without a demand. Arab/Muslim Americans are treated less than animals! We are being prosecuted in a daily basis! High tech lynching, institutionally racism! Especially for Arab women!! Oregon former late A.G. Dave Frohnmayer had my SS# blocked & prevented me from getting employed, made me homeless and jobless! He was the one who started & initiated the fraud of taking over our homes!! His bank robber Rep. Bob Ackerman hired Scarlet Lee/Barnhart Associated, forged my family’s signature, sold our fully paid Condo, without my signature!! Bob Ackerman had never responded to the Summon from the Court, and the sheriff never served him or arrested him either!! 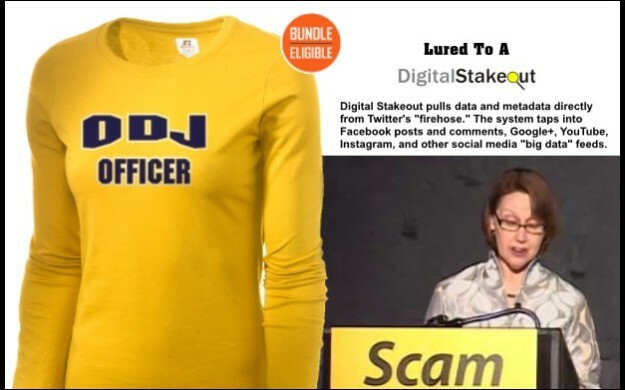 $3,800,000 Federal funding for DoJ Fusion Center, to track terror threats from Salem, in this reporting: Attorney General Ellen Rosenblum Took Her Time Addressing Allegations of Illegal Surveillance By Her Agency. 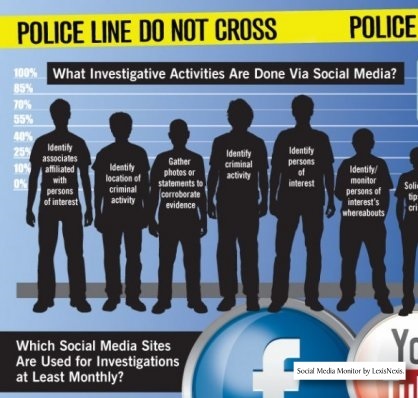 1,194 reports of suspicious activity, 1,497 intelligence profiles. After a fiasco in the Brandon Mayfield prosecution, how can the DoJ hold their head up, let alone ask for state money? In this post, we show how investigations churn spending, and offer little result. Oregon AG reassigns Chief Counsel to become Senior Assistant Attorney General. No one goes to jail, for violating Oregon statute §181.575. Musical chairs. No investigative report issued. The Multnomah County Sheriff has also run surveillance on his political foes. County Chairwoman Deborah Kafoury “engaged in conversations with Oregon Attorney General Ellen Rosenblum about whether she can conduct an independent investigation.” The problem is, that the AG’s in-house investigation into her own misconduct did not produce criminal sanction, for violation of ORS 181.575. The political pivot would be too large to take, to then conclude a fellow law enforcement officer should be prosecuted for the same law-breaking. Click here for an invite. No one will be turned away.